When publishing content online – whether freely or inside a membership – there’s always the chance that someone will copy or steal your hard work. In truth the only way to guarantee that this won’t happen is to not publish anything online. However this doesn’t mean you should just roll over if it happens to you. In this episode I give my top tips for dealing with people stealing and copying your content, with specific examples of the process we use in our own business. Reducing the price of your membership might sound like the last thing you’d ever want to do. 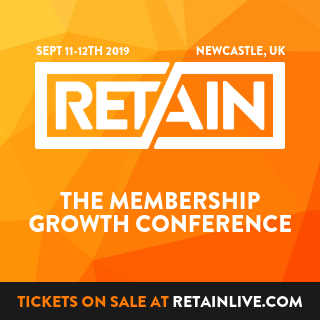 As time goes on and you add more content, the value of your membership increases – so surely you’d be considering putting your prices up, not down? Why would you want to go backwards? However there are some situations where lowering your price might make total sense. In this episode I discuss the implications of reducing your price and how to navigate the change in a way that doesn’t cause problems with your existing members. We can spend months creating content, writing workbooks, pulling our hair out, and spending a small fortune on promoting a new membership site and then when we finally launch it… nobody joins. We all dread this as membership owners; and when it happens, the panic sets in and we start scrambling to rearrange the website, add testimonials, and change prices. This is all completely irrelevant stuff and won’t turn things around. 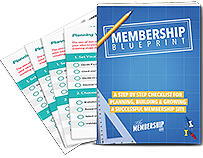 So what should you do if your membership launch fails? Creating content can be one of the most time consuming parts of running a paid membership website. If you’re billing people on a recurring basis, you need to deliver value on a recurring basis; and often delivering that value involves some form of content. In this episode of The Membership Guys Podcast, I discuss how to approach content strategy for your membership, and the steps to take in order to ensure your production process is streamlined so you’re not constantly grinding to put out new content. Should You “Drip Feed” Your Membership Content? Drip feeding your membership or course content can be a good way of increasing the value and stickiness of your membership, as well as providing other benefits for both you and your members. But what actually counts as drip feeding and in what circumstances should you use it?